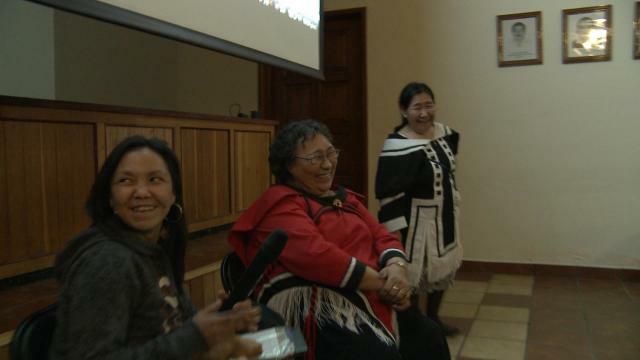 An Igloolik-Oaxaca artistic exchange Our project began as a set of email conversations between people from Arnait Video Productions, an Inuit women’s video collective from Igloolik, Nunavut, and Ojo de Agua, a video activist group in Oaxaca, southwest Mexico. 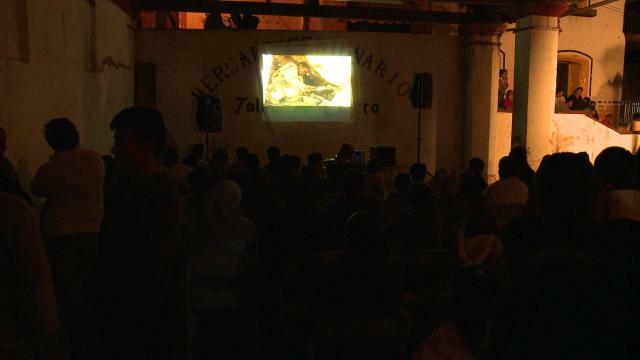 A 12 day tour (in February-March, 2009) was planned to visit different Oaxacan communities. Joining the original Arnait crew of video-artists (Madeleine Ivalu, Susan Avingaq, Marie-Helene Cousineau and Carol Kunnuk) were Marie-Helen’s 8 years-old son Alexandre Apak Cousineau, actor Lucy Tulugaarjuk, anthropologist Nancy Wachowich and her 4 year-old son Hector Lorimer. In Mexico City, the Inuit youth circus, Arctcirq, having just recently completed a performance stint in Veracruz, also joined the tour. Thus, Arctcirq performers Guillaume Saladin, Toby Otak, Salomon Ujurasuk, Jackie Qurnut and Guillaume’s mother, Sylvie Pharand became part of the group. We all spent three days in Mexico City exploring different sites. Wow, that city is huge! Artcirq performed one night with a Mexican circus troupe. We then travelled to Oaxaca, from where, with Guillermo Monteforte and Clara, members of Ojo de Agua we set off for three villages: Capulalpam de Mendez, Taleo de Castro (both mainly Zapotec) and Tlahuitoltepec (Mixe). Other artists and activists hitched rides with us and joined us in activities along the way. For awile we travelled with a group of Argentinian mining activists and healers. Later on it was a group of Oaxacan circus performers. In each place, a combination of workshops, seminars, cultural performances and screenings were held so that people could meet and get to know each other in different types of spaces. Our hopes were that people could compare cultural experiences, find out who is working on similar things, be aware of who is on the same frequency. What will come from extending these networks between north and south? We don’t really know. But this has been an effort to set up a network, a conversation that spans periods of time and that bypasses national boundaries. Our hopes is that it will generate more meetings, forums, exchanges between people around the world, comparing challenges that they face, where they draw strength. What follows are a series of descriptions. We would love to hear your views!!! Please post comments as they come to you. We would like to acknowledge the support of the Canada Arts Council for this project.